Abberly Green Apartment Homes in Mooresville, NC are just minutes from Lake Norman, I-77, Uptown Charlotte, fine dining and entertainment. Our one, two and three bedroom luxury apartments have many features you desire. Included are a full sized washer and dryer and garden tubs. Our apartment community is pet friendly as well. You will fall in love with our resort-style swimming pool, waterfall and internet cafe. 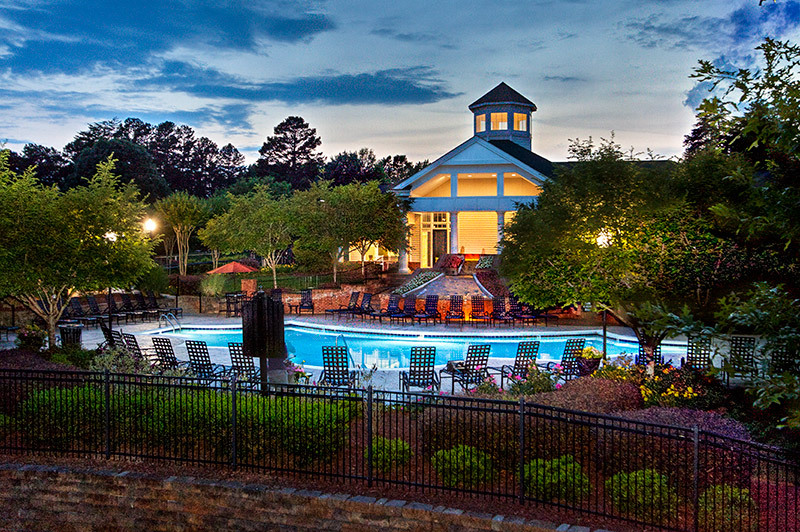 At Abberly Green, it's not just our minutes-from-Lake Norman location that leaves people nearly speechless. It's our luxurious features – like beautifully crafted architectural details, resort-style pool with waterfall and complimentary wireless access, expansive spaces with abundant light and our cutting edge fitness center. Peace and serenity are standard features at Abberly Green. It's evident in our apartments which were designed to give you the utmost privacy. We even have a few select carriage houses available which are situated above garages for extra seclusion. Interior features include separate laundry rooms with full-sized washers and dryers, gourmet kitchens with your choice of white or maple cabinetry and black preferred GE appliances. Garden tubs with tile surrounds, climate controlled indoor storage, and an abundance of over-sized walk-in closets, just to name a few. Also, upgraded amenities such as 9 foot ceilings with crown molding, granite countertops, stainless steel appliances, cozy electronic fireplaces, detatched garages with remote openers and large sunrooms are available in select homes. Come experience the ultimate in luxurious Lake Norman living. Corporate and furnished apartments available!